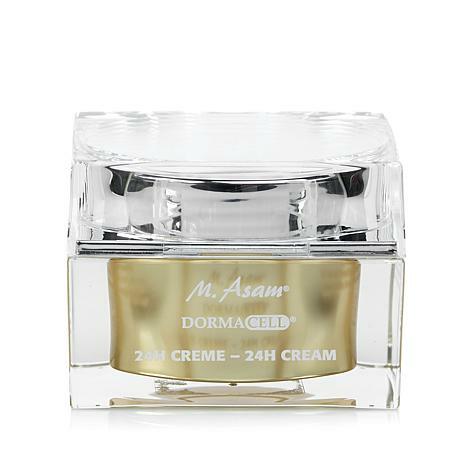 M. Asam DORMACELL® 24H Cream 1.69 fl. oz. Put your best face forward with this day and night cream. Made with a moisturizing ingredient complex, the dermatologist-tested formula helps give your skin a smooth, radiant look as it reduces the appearance of fine lines. Make your first impression a beautiful one. IBR-Dormin® is a registered trademark of I.B.R. LTD. This has a perfect texture and consistency. 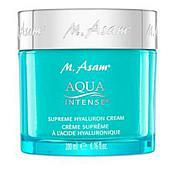 It does not smell as fabulous as the other M Asam products but I can give up smell for superior skin results.I like that it quickly absorbs but is non-greasy.It appears to be working. 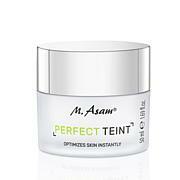 Love all M Asam products. Just like the other M Assam products, this one is excellent. Fine lines disappear and my skin glows.I use it as a night cream and in the morning I use the product along with the Day and Night Cream.I prefer M Assam products to all others that I have used.